We are locally owned and operate with the motto “Honesty, Integrity, and Respect.” Owner Dave Martin says, “This isn’t our job…It’s our lifestyle” and once you meet Dave and the other guides you will absolutely understand lifestyle is probably an understatement. Dave says, “I get up and put on dirt” and the rest of the team has red dirt in their blood too. We are real people who live, love and play in the Zion Canyon back country and Southern Utah wilderness and not some geared out corporation. Our Zion Canyon Jeep tours will help you live a little piece of our wild. Zion National Park, located in Southern Utah, is one of the busiest National Parks in the United States. Known for its awesome hiking, colorful rock formations, and breathtaking views it is nothing like you’ve ever seen. 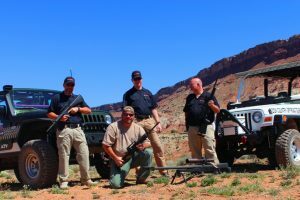 When you are ready to escape the hustle and bustle of Zion National Park, Zion Country Off-Road Tours provides interactive jeep tours or UTV tours. If you are looking for the real deal give us a call and we will treat you right on one of the best Zion Jeep Tours or Southern Utah Jeep Tours you can ever go on. It is our integrity on the line and your vacation! Off-road Group tours and Private tours available. Our interactive Jeep tours take you where there’s solitude when you need a dose of back country bliss. We are pretty sure you did not come all this way just to fall into all the same tired tourist traps. Whether staying in an Airbnb in Rockville, a great hotel in Springdale, or coming from Grand Canyon or Bryce Canyon National Parks, we want you have a real experience in some of the most unique and beautiful landscape on the planet. Vacations are about creating memories after all. After you’ve conquered Angel’s Landing, dipped your toes in Emerald Pools, or trekked through The Narrows in Zion National Park, come experience the rest of Zion Canyon country on one of our amazing Zion Jeep tours. For those of you interested in being in the driver’s seat we also offer fully guided UTV tours. These machines are so slick you only need a gentle touch and the spirit of adventure to operate them. “They’re like driving little clouds of air, ” says Dave Martin. A guided UTV tour can elevate your Southern Utah vacation experience to a whole new level. Ready to ride? Give us a call today at (801) 616-1270 or click here to book online and let’s go have some fun! ZCORT has the perfect Jeep tour for you!